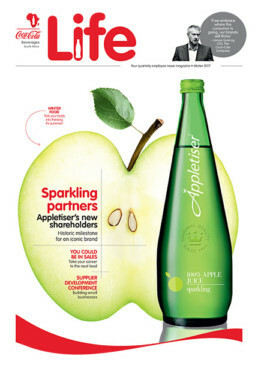 CCBSA Life is a quarterly print magazine for the 5 000+ employees of Coca-Cola Beverages South Africa. It keeps employees around SA updated on company news and achievements internally and in the greater business arena, with a positive and uplifting tone. 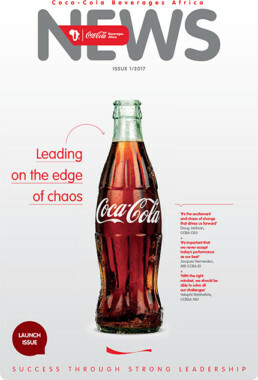 CCBA News is a biyearly print magazine for the employees of Coca-Cola Beverages Africa. It keeps employees throughout Africa updated on company news and achievements internally and in the greater business arena, with a positive and uplifting tone. CCBA News includes strategic thinking and thought leadership. CCBA ID Pulse is a responsive blog for the employees of Coca-Cola Beverages Africa’s International Division. It has a strategic focus and serves as the primary digital platform for CCBA outside of South Africa.